I visited the plant last month where I was hosted by Dr. Ulrich Hesselmann, Head of Mercedes-Benz Minibus and Head of Sales & Marketing, Mark Freymueller. Flight delays on the way meant that I missed the main press conference but they kindly took the trouble to go through the contents of it with me the following day. 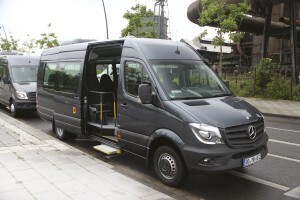 They explained that for Mercedes-Benz serving the minibus sector was part of having a full line portfolio. Though a stand alone unit in its own right, the company had excellent contacts with both the bus and van divisions and this enabled it to combine the best attributes of both within the vehicles it offered. Many components used in other Mercedes-Benz buses, such as lights and seats, were also incorporated within the minibus range which helped to ensure that the look was one of a full line-up. The same attention was paid to safety issues and having the most up to date features. The engine range shared the same characteristics as the larger units. Support is also through the OmniPlus network for service, parts and training and, in Europe at least, included within the new Bus Store brand for used vehicles. 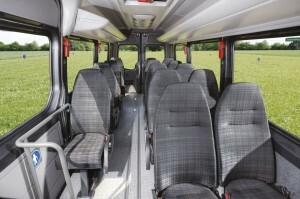 The size of the European market for minibuses of between 3.51 and 8.0 tonnes has fluctuated considerably over the years. From a level of 6,314 units in 2004, it grew to a peak of 12,972 in 2008, falling back thereafter to 9,775 (2009), 9,092 (2010), 8,895 (2011), 8989 (2012) and last year 7,959. the average between 2007 and 2013 had been 9,700, of which the UK accounted for an average of 3,190. Taking Europe as a whole, the Mercedes-Benz share had doubled in a falling market to 10%, though if the UK was removed from the equation that share rose to 14.1%. In addition to producing for Europe, Dortmund also supplies to other markets worldwide. Within the last 24 months minibuses had also been sold to Indonesia, Singapore, New Caledonia, Sri Lanka, the Philippines, South Korea, Thailand, Bahrain, Saudi Arabia, Qatar, Kuwait, UAE and Azerbaijan. Most of these sales involved minicoaches used for tourism. 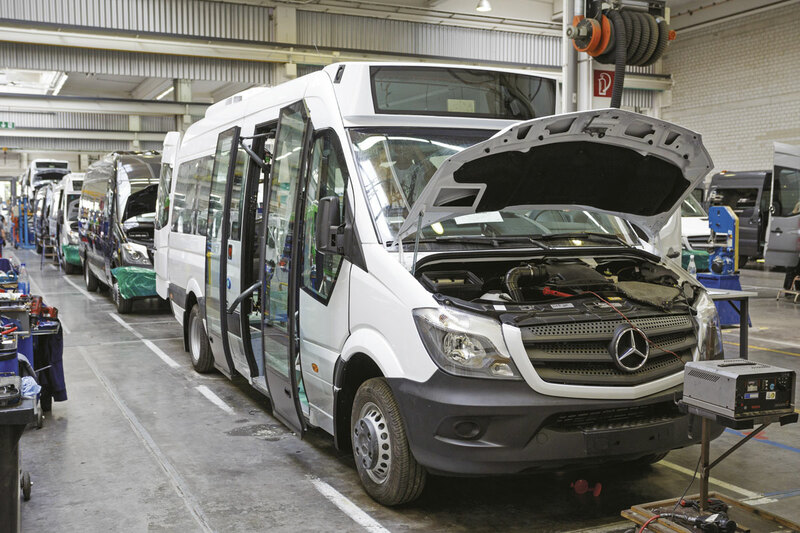 For Euro6 the Sprinter base vehicle supplied to Dortmund has been extensively updated with a wide array of new or altered features and a new engine range, and this has required the plant to change the entirety of its production. Externally, the most obvious change is a more aggressive grille which can optionally be supplied with chrome effect bars. Ulrich Hesselmann explained that it would have been possible to simply offer the same conversions as on the previous generation of Sprinters but that the opportunity had been taken to thoroughly upgrade the range. 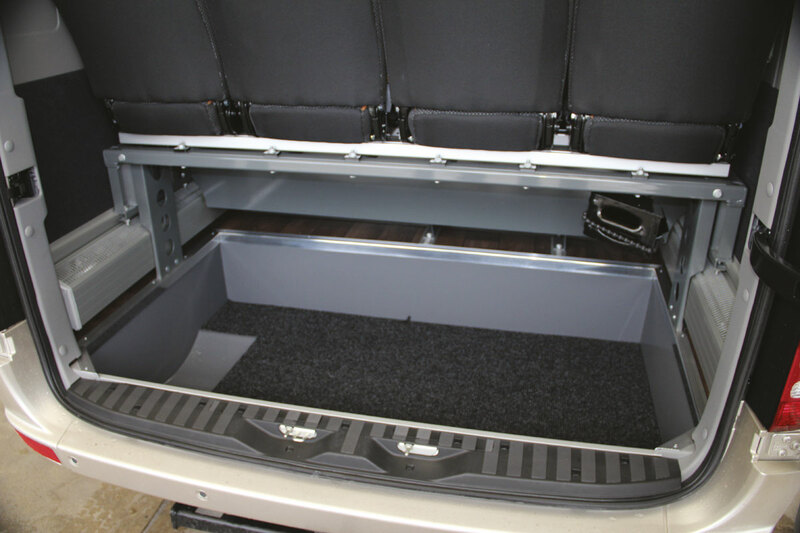 With the new technology required to meet Euro6 emission regulations adding 38kg to the overall weight of the base Sprinter, the design of the conversions had been addressed to eliminate unnecessary weight in the interior. This had enabled weights to be slightly reduced, particularly on the coachbuilt models, the best example being the Travel 65 on which a net weight reduction of 40kg had been achieved. 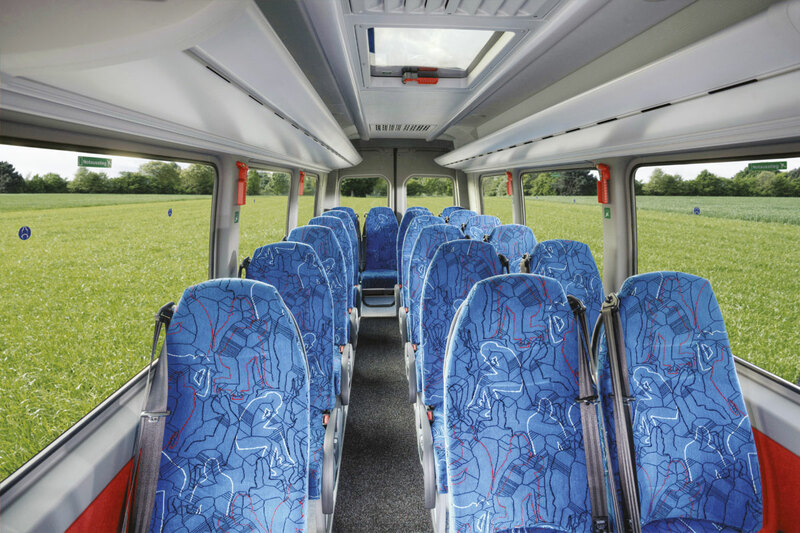 As part of the change a new inner ceiling has been introduced on all Transfer and Travel models including those for the UK. Interior lighting strips are now LEDs and the roof vents, roof hatches and air conditioning surrounds have also been updated to good effect. With the changes made, Mercedes-Benz uses no major parts that are also to be found on vehicles produced by competitors. You won’t, for example, find racks or ceiling panels of the design developed for the latest generation in any other minicoach. One of the most challenging problems the company had to tackle was the development of a new exhaust system for the low floor City range. On the van range the exhaust pipe usually runs through the chassis but this is not possible on the low floor. 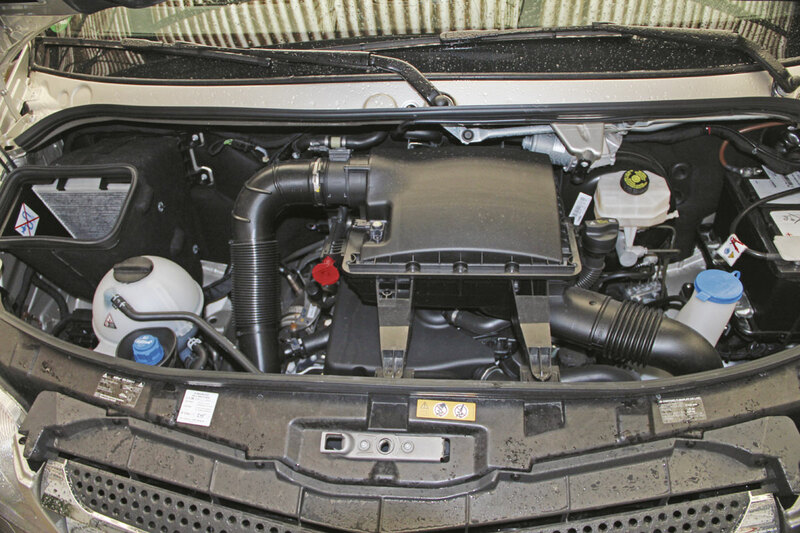 The pipe from the engine has to go round a bend and although there has always been a device within it to ensure that the AdBlue mixes properly with the exhaust gases, calculating where this should go and proving that it works properly to reduce emissions is very complicated. Even for the Dortmund team working in collaboration with the van division this took a while to solve successfully. Now that the system has been finalised, it has enabled the company to be first to market with a low floor Euro6 Sprinter product. This kind of development is something that independent converters need significant resources to resolve. Consequently, Mercedes-Benz Minibus GmbH enjoys more of a competitive advantage in the city bus sector than perhaps it does in other sectors where the engineering demands are not as great. In the majority of models the engine will continue to be the 2.2-litre (2,143cc) OM651 four-cylinder unit with outputs varying from 95hp (70kW) to 163hp (120kW). The top of the range 163hp develops 360Nm at 1,400-2,400rpm. Torque curves and output remain the same as for Euro5 but, for Euro6, this engine has been amended to enhance the injection process as well as improving the charge pressure and combustion to reduce noise and improve fuel economy. Drivability is said to have been enhanced in the process. In order to reduce fuel use, measures taken include intelligent alternator management, an electric fuel pump and a freewheel function for the optional air conditioning. Low friction oil reduces friction losses in the manual transmission, while the 7G-Tronic fully automatic has revised shift points and the option of an eco start/stop feature which comes as part of the Blue Efficiency package, and costs Euros350 in Europe. The optional unit is the OM642, a 3.0-litre V6 engine which Mercedes-Benz claim is the only six-cylinder option offered in a European van. This delivers 190hp (140kW) at 3,800rpm and torque of 440Nm at 1,400-2,400rpm. Service intervals with the new engines are 50,000 to 60,000km depending on the type of work undertaken. The event did present the opportunity to ride in and drive various members of the range but as Rob Orchard has already reported on driving Euro6 Sprinters with both the OM651 and OM642 engines in B&CB issue 1263 (14 February 2014) I won’t go too deeply into the driving side in this article. On the full sized models in its range Mercedes-Benz has achieved major fuel economy improvements. Official SORT testing is not required from minibuses but as the question often comes up on tenders the company has carried out tests on its city vehicles. These show a reduction in fuel consumption of 0.5% on the City 35 model and a figure for the tri-axle City 77 that is 3.7% below Euro5 levels. Other new previously reported features include: Crosswind Assist, Proximity Warning Assist, Blind Spot Assist, Highbeam Assist and Lane Keeping Assist, not all of which are available on every model. There’s a new steering wheel said to give better grip, a revised radio system with additional inputs and a new satellite navigation system option, the Becker Map Pilot. 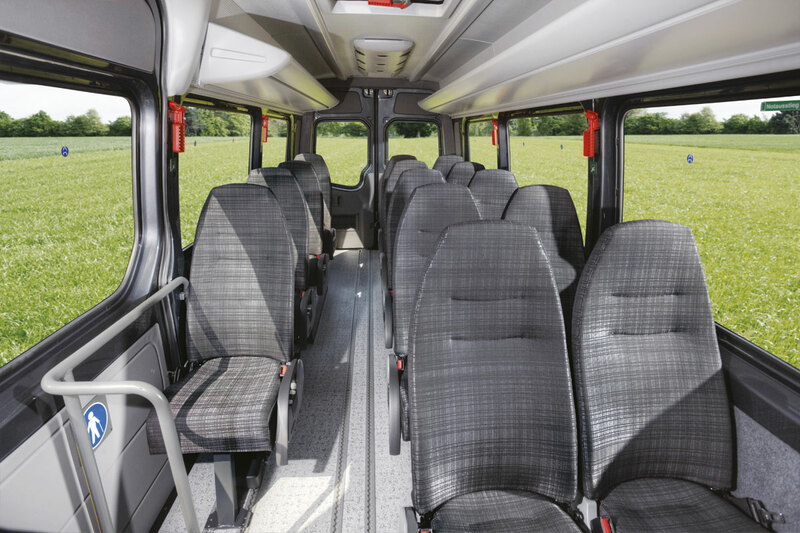 The variety of minibuses and minicoaches produced is considerable with 24 models in four ranges (Transfer/Mobility/Travel/City) offering something for the majority of, but by no means all, niches. 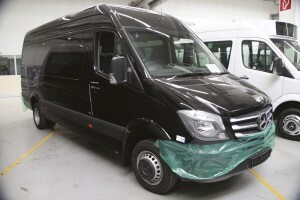 Despite the fact that it is in competition with something like 50 different converters across Europe and beyond, most also using the Sprinter as a base for their products, the business has continued to grow steadily and now claims to be the leading manufacturer in western Europe of minibuses over 3.5 tonnes. All Dortmund built Sprinters have a two digit number after the name, eg Mobility 45. It is quite easy to determine what the different model numbers mean once you know what the codes are. The first indicates the length and will be either 2 (medium wheelbase Sprinter), 3 (long wheelbase), 4 (long wheelbase with long rear overhang), 5 (long wheelbase with extended rear end), 6 (independent body – two axles) or 7 (independent body – three axles). The second digit denotes the maximum GVW and will be 3 (3.5 tonnes), 4 (4.0 tonnes), 5 (5.0-5.65 tonnes) or 7 (6.6 tonnes). 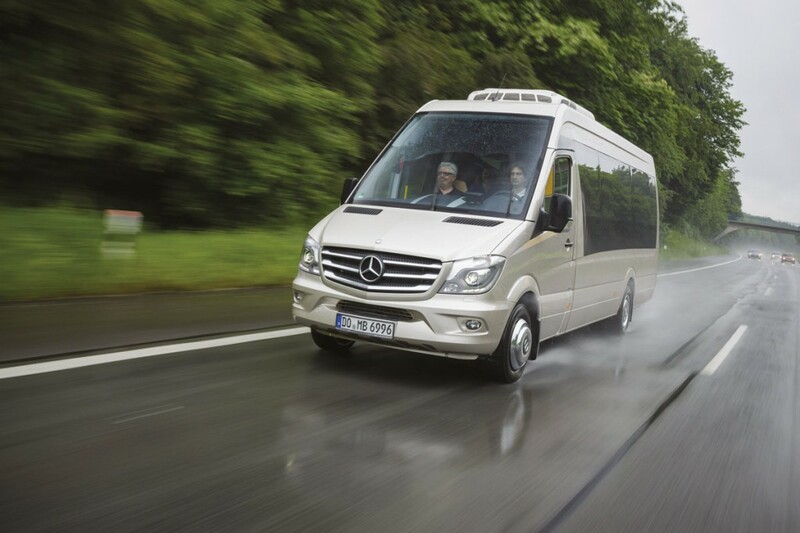 The most basic level model in the range is the Transfer, which is sold with a more limited rage of options as the Traveliner in the UK through the Mercedes-Benz UK dealer network. Left hand drive Transfer models include the 23 (5.92m)(with 12 seats), the 34 (6.96m), 35, 45 (7.36m) and top of the range 7.68m long, 22-seat Transfer 55. All have twin rear doors except the 55 which has a coach rear end with luggage compartment. Flush fitted parallelogram windows are standard across the range. Inter Star Sprinter seats are used, though the more luxurious Travel Star Sprinter reclining coach seat can be specified. Side door options are either a revised front door or a wide side door. 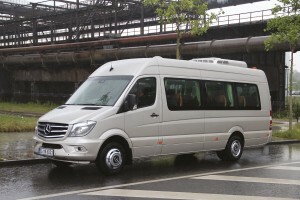 The Sprinter Travel is the luxury variant for touring and private hire duties. There are three left hand drive models; the Travel 45, 55 and 65. All models have separate saloon and driver air conditioning systems, fabric trimmed side wall and ceilings as well as luggage racks with courier call buttons, reading lights and air vents. They have a chromed grille as standard, fabric trimmed sidewalls and ceiling and reclining seats with aisle armrests. The 55 offers a coach rear end with 1.45cum luggage boot while the 65 has a coachbuilt body with 10cm more interior width than the 55, deep double glazed windows, a deep screen, a full width rear window, air suspension and a 2.0cum boot. 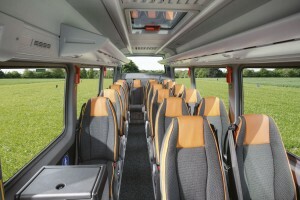 Seats in the Travel 65 are the same TSX2 units built at Neu Ulm and also used in the full sized Tourismo and Travego coaches. 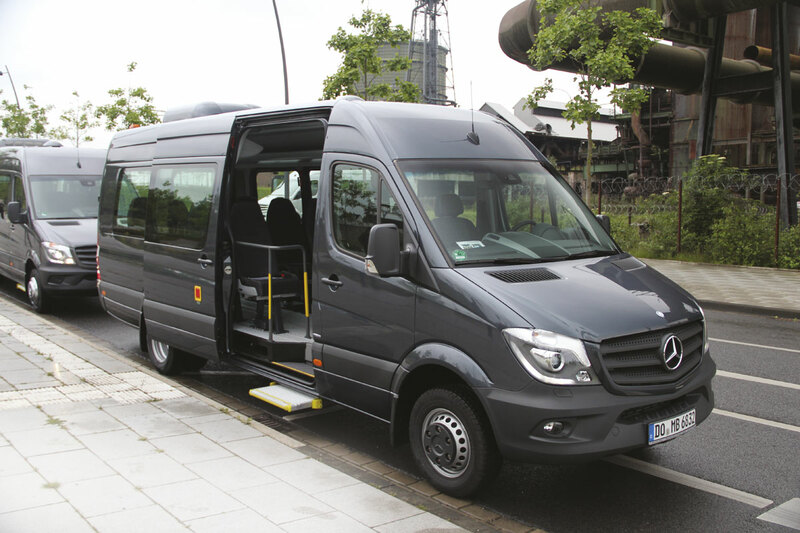 For wheelchair accessibility applications the Sprinter Mobility combines a rear tail lift and a wide side entrance door. The range includes the Mobility 23 and 33 and the new left hand drive Mobility 35 and 45 models and all are derived from the high roof Sprinter van with double rear doors. 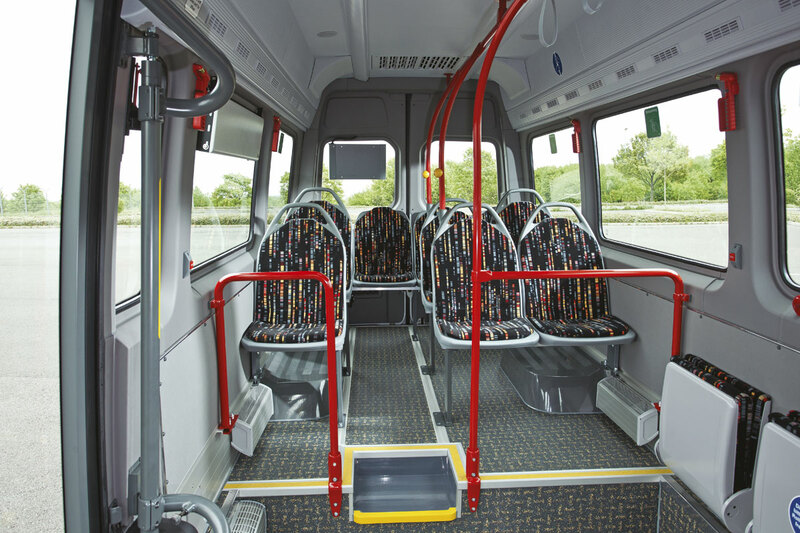 All have seat rails and securing systems for carrying wheelchairs and there are a variety of lift options including a rear under floor cassette unit. As the name suggests, the Sprinter City is for regular stage service work with destination provision (roof mounted on the City 35, behind the screen on other models). The Sprinter City 35 and 45 are van based, the 65, 65K and 77 are chassis based. All two axle versions have 1,250mm double swing out doors leading to a flat low floor area between the axles with steps up to a seating area at the rear. Two versions of the City 65 are offered, the Sprinter City 65K being 7.0m long with a correspondingly shorter rear overhang than the 7.7m City 65. Both are 2.0m wide. Within the City range is the only three axle version of the Sprinter, the City 77, which is 8.7m long and carries up to 40 passengers. This has single wheels all round, a tandem rear axle, front and rear independent suspension and a full low floor to the rear. This isn’t available in the UK and even if it were I wonder whether many would see it as a good value option compared with a more traditional UK midi offering as prices start at Euros145,000 (£117,305) and rise to Euros160-170,000 (£129-137,000) with air conditioning, destination equipment and a good level of specification. Nevertheless, 80 have been sold to date and examples were much in evidence within the factory. Mark Freymueller told me that there had to be a certain level of demand, preferably in a couple of countries, before a new variant could be developed. He illustrated this by saying that, for example, creating a City 77 in right hand drive would take between a year and 18 months, requiring completely new frames and new tools to produce the panelling. Along with all other vehicles in the line up, the City range can be offered with three point seat belts, providing Vogel seats are specified. 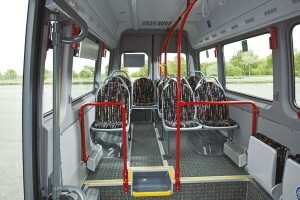 The standard seating option in the City range is the same unit used in the Citaro bus. Not all models from the European range are offered but there are eight different options built in right hand drive. These are: the Transfer/Traveliner 23, 34, 35, and 45; the Mobility 35 and 45; the Travel 45 and the City 45, the latter a model developed specifically to meet the needs of the UK market. It is interesting that there are no 55 or 65 models included in the right hand drive line up which I was told was because there had been no UK demand, something I found surprising. Mark agreed that this was now probably worth looking into because demand was growing in the UK and it could also be sold in Asia and Australia. Hitherto, the UK has been offered a variety of Dortmund produced products but there is a feeling in the company that it has not achieved what it might have done in the biggest minibus market in Europe, indeed, the UK represents a full third of European minibus sales. With recent changes at the company there is a new emphasis on promoting Mercedes-Benz as a whole range producer and with it a determination to maximise the company’s potential within the sector. Sales to the UK of Dortmund built products amounted to 121 units in 2013, including units sold through Mercedes-Benz UK, which is 10% of the plant’s production. Mark Freymuller told me that the figure would definitely be more in 2014. It seems to me relatively surprising that the UK already accounts for such a high percentage of production when you consider that the range available here is relatively restricted. Something that I had not previously appreciated is that the UK version of the Mobility 45 is totally different to the product supplied under the same name elsewhere in Europe. The right hand drive model has a raised flat floor (approximately 150mm higher) with no wheelarch intrusion and either the Unwin HAL or the NMI Millennium seat mounting system, both of which are quick release, whereas the European market vehicle has a lower mounted floor with tracking and intrusion from the rear wheelarches. Phoenix Blenheim seats are standard in the UK version. I went out in a left hand drive example which was shown with 14 passenger seats but certified for 17 and had a 350kg semi automatic lift. It was additionally fitted with optional luggage racks and an entry level 6.5kW Aurora air conditioning unit mounted within a small roof pod. Sutrak units with 8kW or 11kW capacities are also offered, in which instance the system is integrated with the racks. For the UK, the standard underfloor mounted lift system is a semi automatic Ratcliff Palfinger unit with PLS semi or fully automatic units available as options. It is some years since I was last at the Dortmund plant and a great deal has changed in the interim. The original plant has grown significantly in stages over the years, to 5,000sqm in 2005, to 7,500sqm in 2008 and most recently to 12,000sqm. 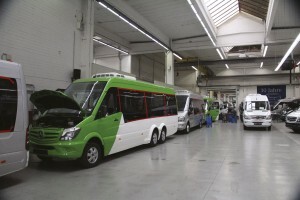 Several of these expansions coincide with the transfer of minibus production from other locations within the group, so that the Minibus operation is now completely focused on the Dortmund facility. The current employee count is 220 permanent staff as well as a further 60 on temporary contracts. 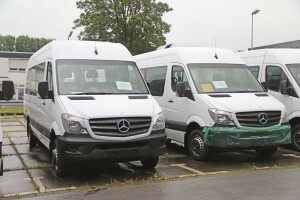 Production is 70% focused on the conversion of panel vans, most of which are white though some customers pre-order other colours offered by Mercedes-Benz, 25% on low floor City models and currently only 5% on Mobility models. All variants are based on Sprinter panel vans produced at Dusseldorf with the exception of the Travel 65, City 65 and City 77 which are based on chassis built at Ludwigsefelde. Thus all current UK models are panel van derived. After delivery by truck, all parts are taken off to prevent them being damaged and stored together ready for reinstallation at a later stage. 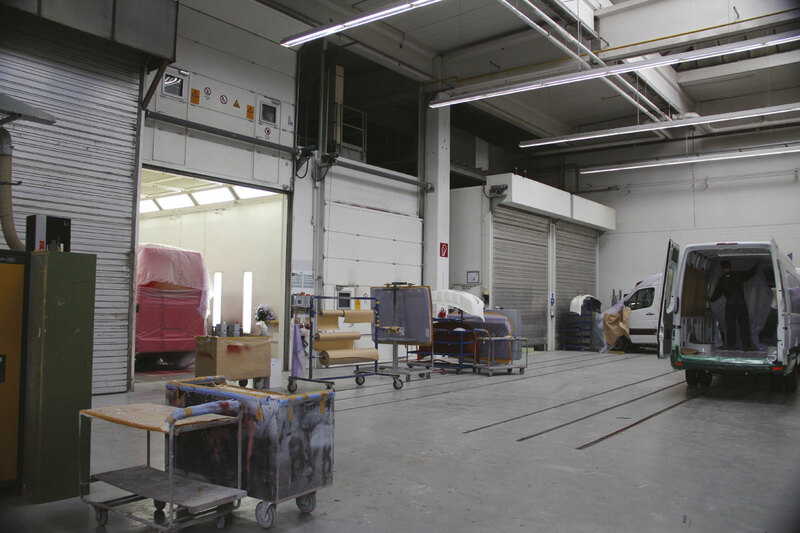 Body shell production is undertaken on three lines and the process differs between panel vans and coachbuilts. 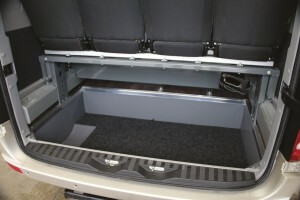 For vans the work includes creating door apertures of the right width, cutting the necessary holes to install equipment such as destination displays, roof vents and air conditioning systems, adding the new rear on longer models, as well as body strengthening and wheelarch alterations. For coachbuilt vehicles, the structure is produced elsewhere, catophoretically dipped to protect against corrosion and then joins the lines. Once completed and checked, vehicles transfer to the painting section where they are prepared, primed and have a filler coat added before the top coat is applied, along with a coat of varnish in the case of metallics. All spraying is carried out manually in five booths; there are no robots. They will then be polished. Any additional parts to be added later are painted at the same time. Once painted, underbody protection is added and cavities are sealed in two separate booths. As in all things, standards are the same as those for the full sized vehicles. 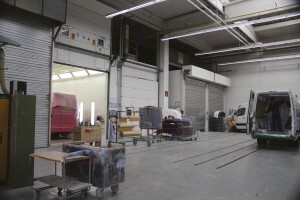 Four separate lines with 32 different production stations handle the assembly stages during which the interiors and any other equipment are installed. The lines to the right take the complex vehicles and have a cycle time of 6-7 hours, while those on the left host the simpler conversions and have a 3-4 hour cycle time. At the end of each cycle the minibuses are manually pushed to the next stage. There are a number of sub assembly areas and specialist tradesmen handle each aspect of the build. Mark explained that there are eight cycles in the assembly area, beginning with bonding in the pre-cut flooring and installing the windows and vents, after which the electrics are added and any underbody work, including driveline modifications, are carried out with the vehicles raised. After this the panelling, racks, heaters and doors are added, followed by seats, rails and partitions, before the fluids and batteries go in. Quality is a continuous process and in addition there are four quality control centres, with a quality control handover undertaken as each minibus passes from one section of the plant to the next. The torqueing of every screw and bolt is regulated and signed for. Once complete there is a final inspection, a test drive and, if any work has been done to the roof, a water ingress test. 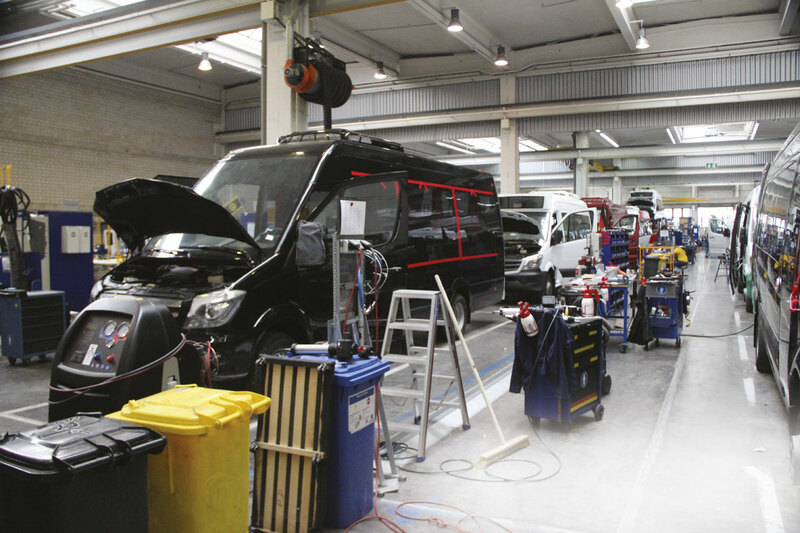 Every year the operation benchmarks itself against both the van and bus divisions to ensure the quality of vehicles matches that of the rest of the groups output. Shop floor meetings are held at 08.00 every morning to address and resolve any issues, ensure quality and generally make sure that every body is on top of what is happening. Production capacity depends on the mix of vehicles going through. It can take only around 50 hours for one of the more straightforward conversions, whereas one of the more complicated ones, such as the City 77, might take as long as 500 hours to complete. This will mean between ten and 35 days in the plant. Last year’s production total was around the 1,200 mark and I understand that this could perhaps be increased to around 1,400 utilising the same structure. 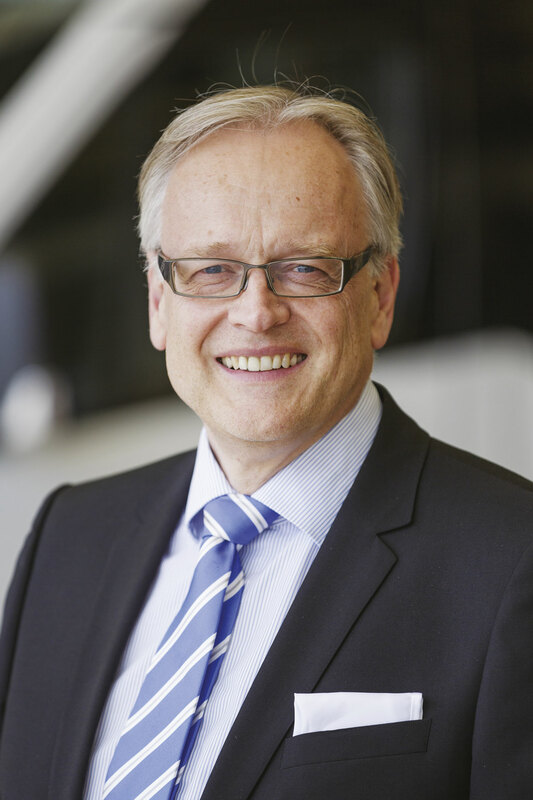 Ulrich Hesselmann, CEO of Mercedes-Benz Minibus GmbH told me that if necessary it would be possible to take production to between 1,700-2,000 units annually, but it would require conversion of the plant. Lead times are longer than I imagined, at a minimum of two and a half months for a straightforward specification and up to five months for a more complicated one. Although the European market has gone over to Euro6, the plant still produces conversions of Sprinters with earlier Euro level engines down to Euro3 because in some countries the standard of fuel available is not high enough to cope with the latest specifications. ‘We do what the customer wants’, said Mark. 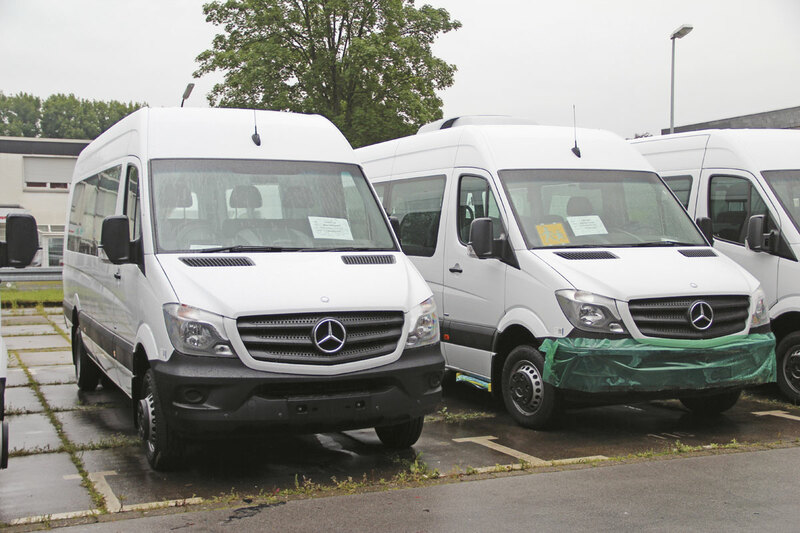 The minibus sector has been a very successful growth area for Mercedes-Benz in the new millennium and it sees considerable scope to continue that growth, with the UK high on its target list. To achieve that growth it has continued to develop not only the existing product but also new variants and here again there may be scope to increase the appeal of Dortmund built vehicles to UK customers, though it is clear that there is no intention to offer the range of bespoke body specification options that converters can offer. While the range of body options grows, the base vehicle is always the Sprinter in one of its guises, which is already the vehicle against which others are judged in this sector and has lost none of its attraction in its latest Euro6 form.